Adventuring could become cumbersome. I needed something else to do besides quest day in and day out. I managed to talk to some people over in Stormwind, a magnificent castle filled with people coming and going about their business. Instead of choosing a gathering skill and a skill that makes products from the materials you gather, I went with two gathering skills. Now this may seem odd but if you think about making gold at the auction house, this is a very good way to do it, as there are many people making things every day, thus needing materials. My next point in my journey begins, off I go to the cold, and snow filled land of the dwarves. Dun Morogh. 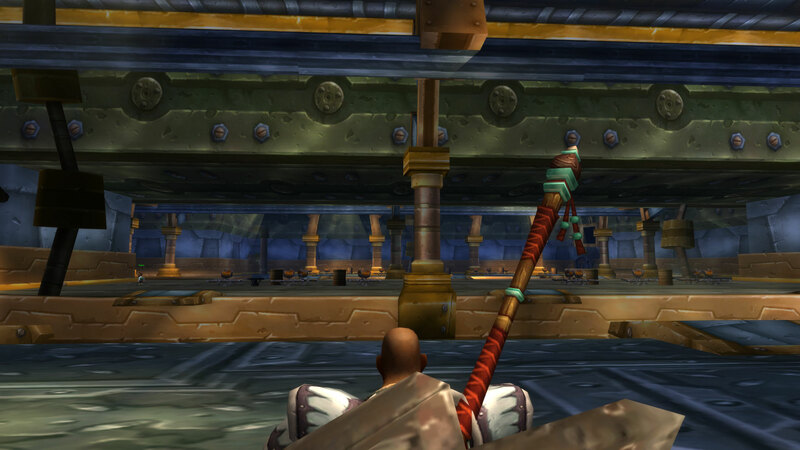 I took the train from Stormwind to the awe-inspiring Ironforge. From there I set off with my trusty horse, to the Wetlands. After traversing through many lands I finally arrived to a dwarf settlement. They had a few small missions for me, fighting underwater, killing spiders, exploring caves, and fending off sharks, typical run of the mill stuff. My travels led me to Mithril Harbor, a little village overrun by a flood. The place was over taken by orcs. I was tasked with killing the main villain, he proved to be no challenge, a quick dispatch. Wetlands turned out to be a walk in the park, no effort needed. When I was finished I headed out to the Arathi Highlands, maybe it will be more interesting.